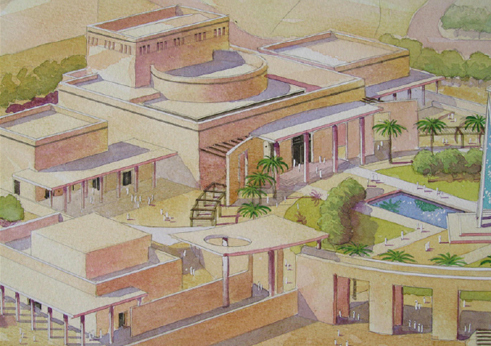 In 2006, we prepared concept designs for a National Theatre as part of a major development study for a new 20,000m2 Cultural Plaza development at Seeb, on the outskirts of Muscat, capital of the Sultanate of Oman. 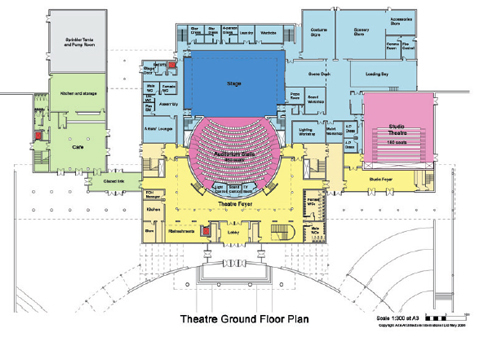 The main auditorium seats up to 550 in two tiers and is oriented toward drama, spoken word and smaller musical productions. 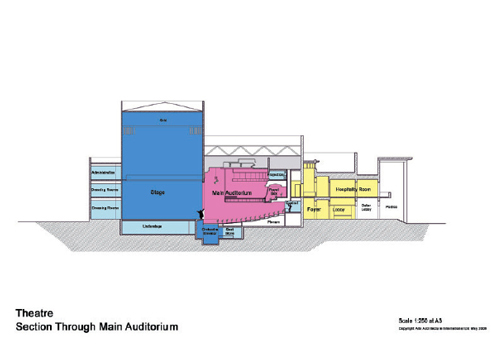 It features an adjustable proscenium 10-14m wide opening onto a 15m x 25m stage with a 40-bar fly tower, a forestage elevator capable of forming an orchestra pit for up to 35 musicians and a full stage basement. 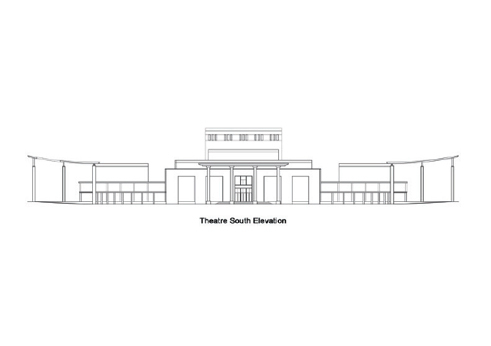 Alongside the main theatre there is a flexible 180-seat studio/rehearsal room, generous public foyers and VIP/corporate entertainment spaces. Backstage there are permanent dressing spaces for up to 50, together with an artists’ lounge, technical support, scenery and costume storage. Adjacent is a public restaurant with both indoor and outdoor seating areas, together with prayer rooms serving the whole complex. The design is based on a simple geometry of the circle within the square. 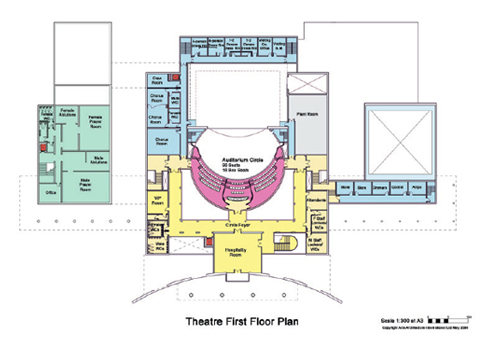 The circular drum of the auditorium is expressed within a surrounding double-height foyer space, in turn enclosed with a two-storey colonnade, alluding to a traditional internal courtyard space. The auditorium is clad in blue glass panels, forming a striking contrast with the polished plaster of the adjacent foyer. The refreshment and circulation areas have views of the external public plaza.